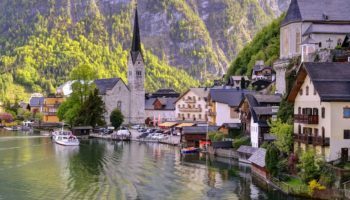 This magnificent alpine country has some divine scenery on offer, and nestled away among its natural wonders you’ll find an astounding array of picturesque cities, dripping in baroque architecture, that allude to Austria’s imperious past. 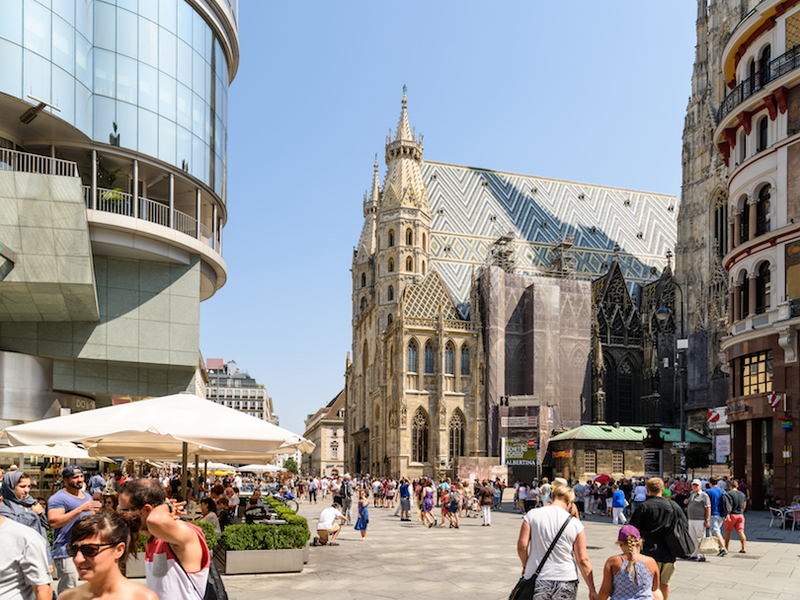 With castles, churches, cathedrals and more, the best cities in Austria mix the old with the new, as lively bars and restaurants breathe life into their ancient cobbled streets. 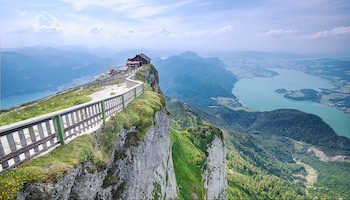 A picturesque place to visit, Feldkirch is in the Rhein Valley on the border with Liechtenstein and Switzerland. Peaceful, rolling hills surround the city, with woods and vineyards adding to the scenic feel. With a delightful 13th Century castle sitting atop one of its hills, and a quaint medieval part of town full of twisting cobbled alleys, Feldkirch is a hidden gem that is often overlooked. 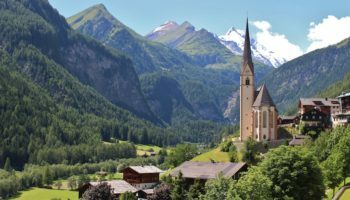 Visitors tend to instead head to the neighboring Innsbruck and Liechtenstein. Well worth stopping by, it’ll only take you half a day to see all that is has to offer. Lying on the shores of Lake Constance, Bregenz’s beautiful view over its shimmering waters is accentuated and complemented by the towering Mount Pfander that rises so dramatically behind the city. Its evening sunsets are particularly divine; to the right you can see Germany, with Switzerland just about visible on the horizon to the left. More than just a pretty spot, the city has a lovely promenade along the waterfront, as well as some fantastic art and architecture on offer. The mountain has some great hiking trails and you can swim or take a boat cruise on the lake. The best time to visit is during the Bregenz Festival, when a stage is built out on the lake’s waters and you can listen to opera under the stars. Simply heavenly. Located where the Enns and Steyr rivers join, Steyr’s historic city center is one of the most enticing and attractive in the whole of Upper Austria. The old town with its sumptuous baroque buildings and cobbled streets is lovely to wander around, and the main square has a mishmash of different architectural styles. For instance, the city’s main attraction – the Bummerlhaus, is a delightful Gothic edifice which dates all the way back to the 13th Century. With two castles located in the city and the delightful Kalkalpen National Park lying nearby, Steyr is a pleasant and tranquil place to spend some time. ‘Krems,’ as it is known to residents, is located at the point where the Danube and Krems River meet, at the beginning of the delightful Wachau Valley. A pretty city, it is surrounded by rolling vineyards and has some great local wines which are worth sampling. Its historic center is very picturesque, with old churches museums dotting its streets. Apart from the busy summer months, Krems is a relatively quiet place to visit, with many great restaurants and bars. A lovely thing to do is take a stroll along the banks of the Danube. 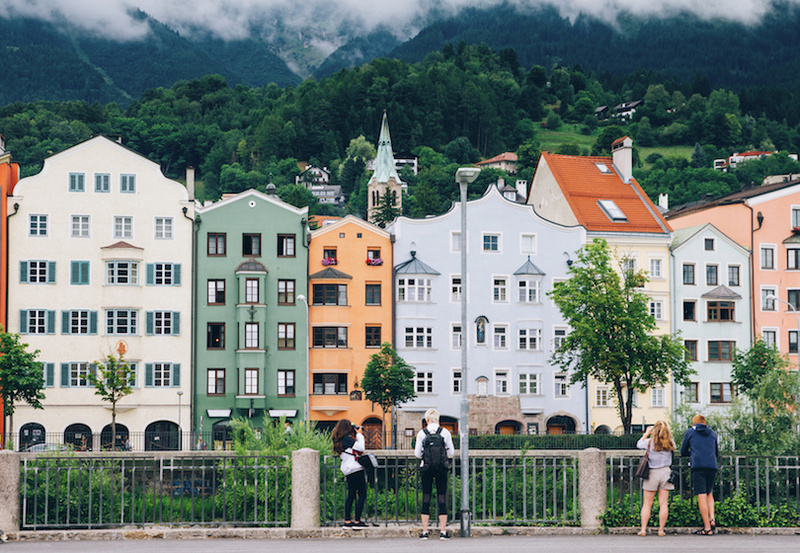 Although it has a long and varied history that dates all the way back to Roman times, unfortunately, Villach does not have much in the way of beautiful architecture or historical sites, as it was bombed dreadfully during the Second World War. While there are the ruins of a couple of castles to explore, Villach is probably better to live in than visit, and most people simply use it as a base from which they can explore the wealth of attractions in the surrounding area. From Villach, it is easy to reach most parts of Austria, and the Italian border is not too far away. 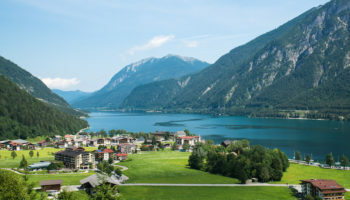 The lovely Faaker See lake is just outside the city, and the mountain and ski resort at Gerlitzen offers up some incredible panoramas. Lying along the banks of the Danube, Linz’s picturesque old town full of baroque architecture hides the fact that this is a city planning for the future. It has a flourishing cultural and artistic scene, due to its edgy modern art installations and interesting, unique museums. 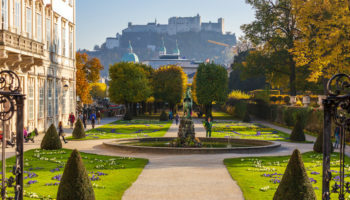 Coupled with its recent move into the fields of technology and innovation, Linz is a vibrant and dynamic place to be, which perfectly mixes old churches and a lovely castle with a lively bar scene and youthful feel. An intriguing place to visit, Klagenfurt has a sizeable university population that helps give a festive and vibrant feel to the city. It has a nice old town, with the city’s main landmark being the distinctive Lindwurm monument depicting a villager killing a dragon. On the edge of the city lies Europapark, which has a huge verdant area for visitors to enjoy; during summer, the lido is particularly lovely to bathe in. From Klagenfurt, there are easy transport links for visiting the Worthersee and its surrounding towns. Mainly known as the home of 18th Century composer and musician Joseph Haydn, Eisenstadt has a number of monuments and museums dedicated to its former resident – but there is much more than just these to see. Despite being a small city, it is the capital of the Burgenland region in eastern Austria. 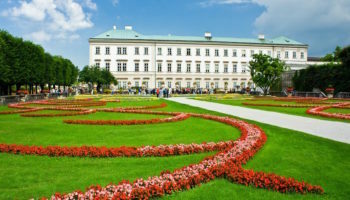 It is an elegant and lavish place to explore due to its museums, baroque castle and pretty Jewish district. The main street has many different cafes, restaurants and boutiques for visitors to peruse. Not far from Vienna, its location makes it easy to visit, and from here you can tour the nearby vineyards. The second largest city in the country, Graz’s roots date back to Roman times. It owes its current stature to the fact that it used to play an important role in the defense of Europe from the Ottomans. 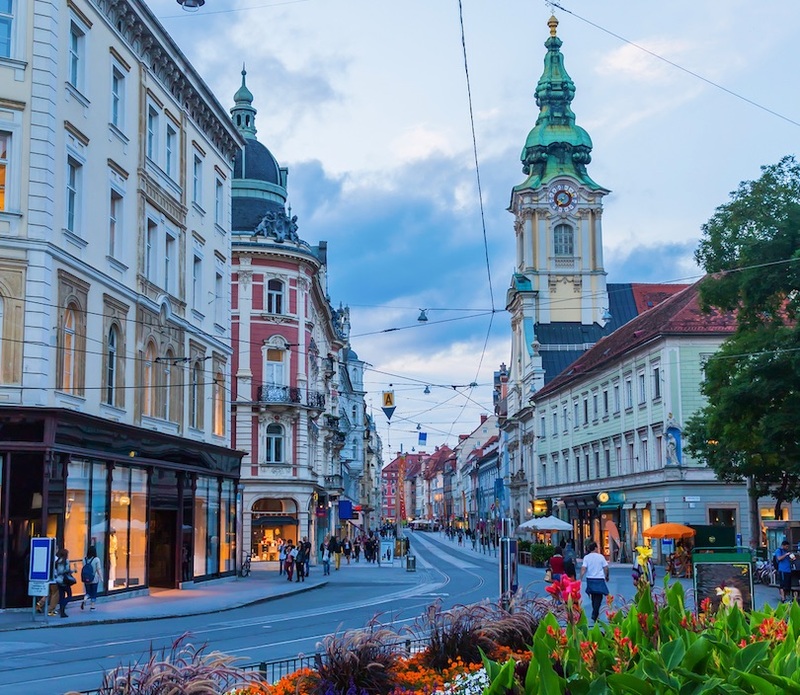 A picturesque place, Graz is now a laidback and fun city to visit, thanks in large part to its sizeable student body that has stimulated a dynamic arts scene and pounding nightlife. Centered around the castle, the old town is beautiful to stroll around, with the main square being particularly delightful. 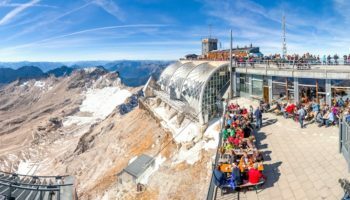 Daring modern buildings are sprinkled around Graz’s streets, and along with the atmospheric cafes and lively bars on offer, it makes for a vibrant and contemporary city to visit. Set amidst the towering Alps, ski resorts and alpine valleys surround this beautiful city. 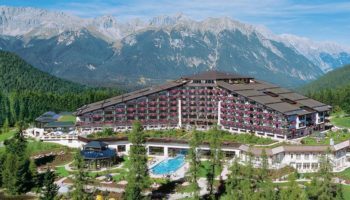 Consequently, many people head straight for the slopes rather than reveling in all that Innsbruck has to offer. Formerly the seat of Maximilian I’s imperial court, Innsbruck’s picturesque old town is appropriately grand and lavish, with its domineering Hapsburg palace and impressive cathedral highlighting its former glory. With stunning views of the surrounding mountains, there are a number of great trails and paths for hikers to enjoy, while skiers will delight in the range of slopes on offer. In addition to all this, the city’s large student body makes it a fun place to go out in. This absolutely gorgeous city appears as if from a fairytale, such is its beauty and elegance. 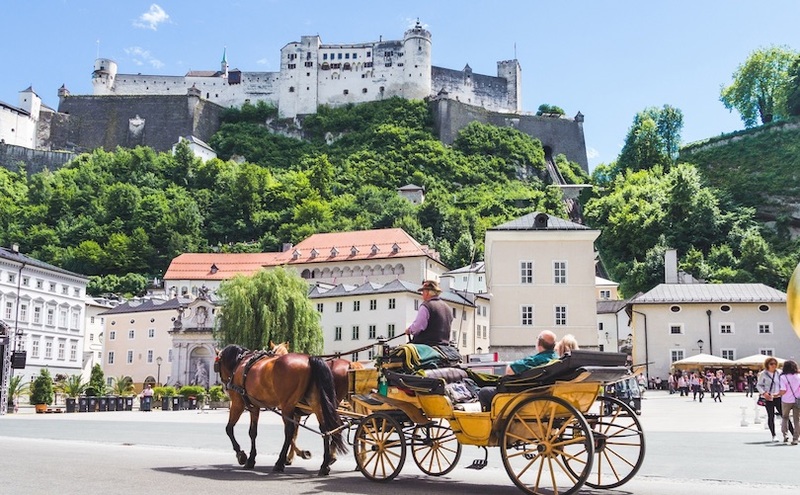 With the imperious Hohensalzburg fortress towering over the ornate old town, the glittering Salzach River flowing by, and the beautiful mountains surrounding the area, Salzburg is simply breathtaking to behold. Famed as Mozart’s former home, it is a magical place to wander around, with fine baroque architecture springing up from every surface. 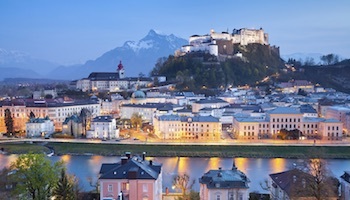 The fourth largest city in Austria, Salzburg has a host of great restaurants and bars for visitors to enjoy. As the former seat of the Hapsburg Empire, Vienna is awash with impressive imperial buildings and palaces, which so comprehensively convey the wealth and power of its former monarchs. Now the capital of the country, the city is a delight to get lost in. Its eclectic mix of architectural styles are beautifully displayed on the facades of its lavish opera houses, museums, churches, and more. The center is very easy to walk around, with the main sights massed along the opulent Ringstrasse. Renowned for its opera halls and nicknamed ‘the City of Music’, the names of its famous residents roll off the tongue, with Mozart, Beethoven and Schubert among those who once graced its streets. Indeed, there are a plethora of cultural and artistic sights for visitors to check out, and a number of fantastic museums and beautifully ornamented palaces worth visiting. 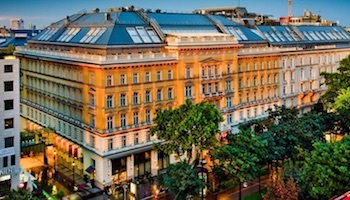 Moreover, there are some great markets, fantastic restaurants and coffee-houses, as well as atmospheric Viennese bars.